130 bhp, 2,262 cc overhead-cam inline eight-cylinder engine with supercharger, four-speed manual transmission, front suspension with semi-elliptic springs and rear live axle with inverted quarter-elliptic springs, and four-wheel cable operated drum brakes. Wheelbase: 93.7 in. With its first appearance at the 1924 French Grand Prix held at Lyon, there was no doubt to anyone who saw the car run that this was an automobile that had it all: durability, mechanical functionality, and a wonderful sporting exterior design. The Type 35’s best finish for that race was a respectable 7th overall, but it was clear that the car had the potential for greater success following future tuning and refinement. Bugatti’s final iteration of the Type 35 would be the Type 35B. This new model, which bore the same 2.3-liter, eight-cylinder motor as the earlier Type 35T, was outfitted with a supercharger that was similar to the one in the Type 35C, albeit it was slightly larger and more powerful. In its day, the Type 35B boasted incredible performance figures, and these figures are still respectable today. It was capable of accelerating from 0 to 60 mph in just six seconds, and it had a top speed of 125 mph. The Type 35B platform also proved to be competent on the open road, and its strictly road going form was called the Type 43. Chassis 4948, a 1930 Type 35B Grand Prix race car that was equipped with engine 200T, competed in the 1930 Monaco Grand Prix. Guy Bouriat was behind the wheel, and it finished 3rd overall in the race, which was largely dominated by cars from Molsheim. After the race, the factory sold 4948 to Joachim von Morgan, who resided in Germany, and he continued to campaign the car throughout the remainder of the 1930 season, as well as the 1931 one. Von Morgan returned his 35B to the factory in exchange for a newer Type 51, and the car was resold to Paul Pietsch, the future Auto Union team driver and German publishing magnate. Pietsch raced the car through 1932 and then sold it to a Herbert Wimmer, who continued to race it from 1932 to 1936. It is believed that the car remained in his possession throughout the World War II, and then it was sold to a Heinrich Herbster. After leaving Herbster’s custody, 4948 eventually made its ways across the Atlantic to America in a disassembled state. Shortly after its arrival, it is believed that its original curved side frame rails were sold to a Bugatti collector on the West Coast, but all of 4948’s other original components remained together. The car remained in storage until it was purchased by a gentleman who decided to bring the car back to its former glory. 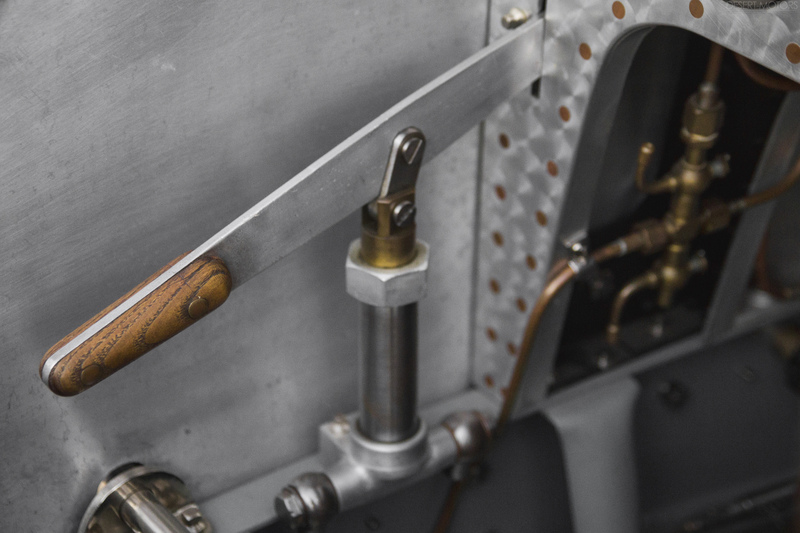 A lengthy and painstaking restoration was undertaken, with its aim being to return the Bugatti to its original 1930 Monaco Grand Prix livery and specification. The original 2.3-liter supercharged engine was completely rebuilt and installed in the car, and it was fitted with the original factory crankshaft and rod assemblies. According to the owner, who commissioned the car for its initial restoration, the list of factory verified numbered parts at that time included the upper and lower crankcase and crankcase arm, the cam box, the blower drive and blower drive case, the intake manifolds, the accessory drives, the blower, the steering box, the gearbox, the rear axle, and the hollow front axle. According to their numbers, non-factory parts included the cam box lid, the right front crankcase arm, and the right side front dumb iron, yet all of these stampings appear to be period correct. After being thoroughly inspected by Bugatti authorities, these individuals felt that 4948 was always a German owned car, as no SAE, English, or non-Bugatti metric fasteners were found on the car. Additionally, it is viewed by many marque specialists as one of the more exceptional examples of its kind, given that a substantial amount of its authentic and original components had remained together for so many years of its life, despite the absence of its original chassis. 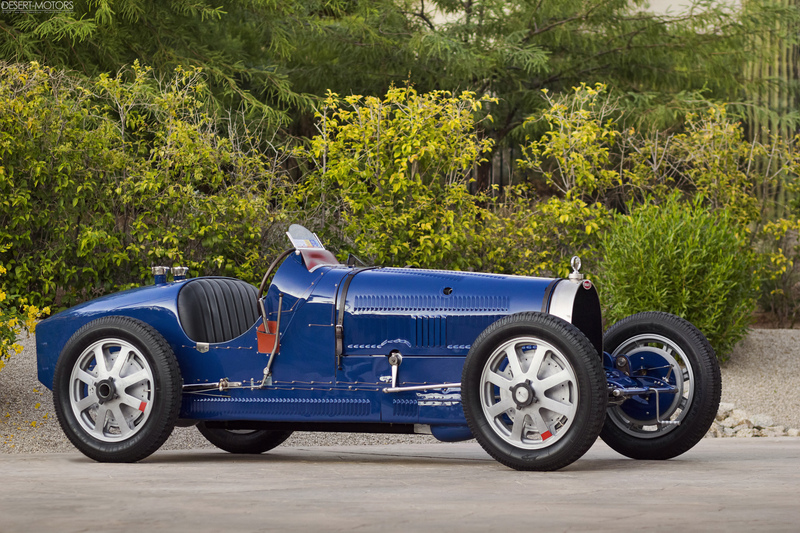 Under the stewardship of its current owner, this Bugatti was sent to noted Bugatti specialist Jim Stranberg, of High Mountain Classics in Berthoud, Colorado, for a frame-off restoration. Any parts found to be incorrect for this model were replaced with correct ones, ensuring that this Type 35B is as accurate as possible. 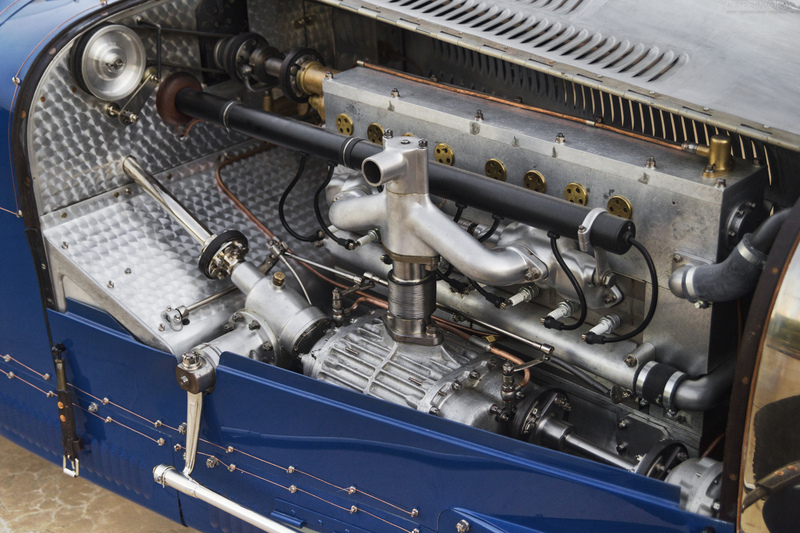 At the same time, the car’s radiator was shipped to Wales to be rebuilt by another Bugatti specialist, and a new crankshaft was built for the car by Brineton Engineering. Finally, the body was repainted in the same dark blue that it wore at the 1930 Monaco Grand Prix. The car is accompanied by all the appropriate restoration receipts, which total to $161,000. Since the completion of the restoration, 4948 has been driven sparingly and still remains in excellent post-restoration condition. Not only is this car in splendid cosmetic condition, it is also more than ready to participate in vintage races. These vehicles were designed to be driven, and driven hard. Bugattis of this era are frequent sights at such motoring events as the Rolex Monterey Motorsports Reunion and the Mille Miglia, and the Type 35B models are especially known for their reliability, performance, and overall motoring panache. To many, there is no better motoring experience than the thrill of piloting a pre-war Bugatti, and this Type 35B certainly will not disappoint.